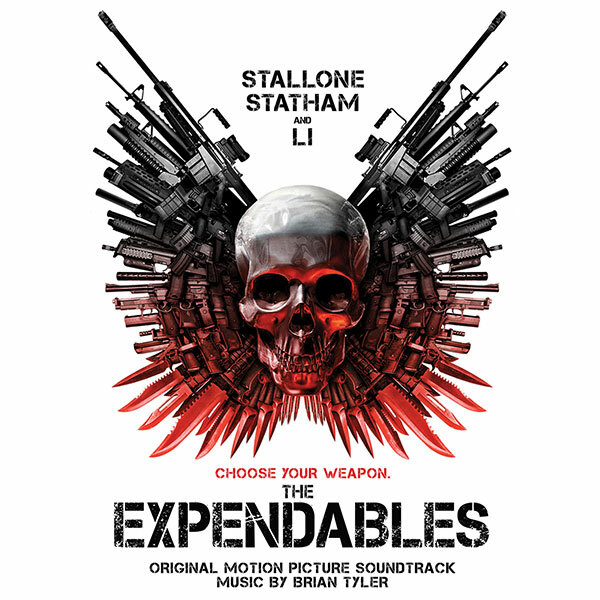 Directed by and starring Sylvester Stallone, The Expendables brings together the biggest action heroes of the last few decades including Bruce Willis, Arnold Schwarzenegger, Mickey Rourke, Jet Li, Dolph Lundgren, Jason Statham and many more. They are involved in a battle to overthrow a South American dictator and the score wonderfully compliments the high-octane screen action. Composer Brian Tyler is one of the most prolific creators of action scores in the business. In the last decade he has created a wide selection of music for many films including Children Of Dune, Constantine, Annapolis, The Fast And The Furious and Aliens Vs Predator: Requiem.